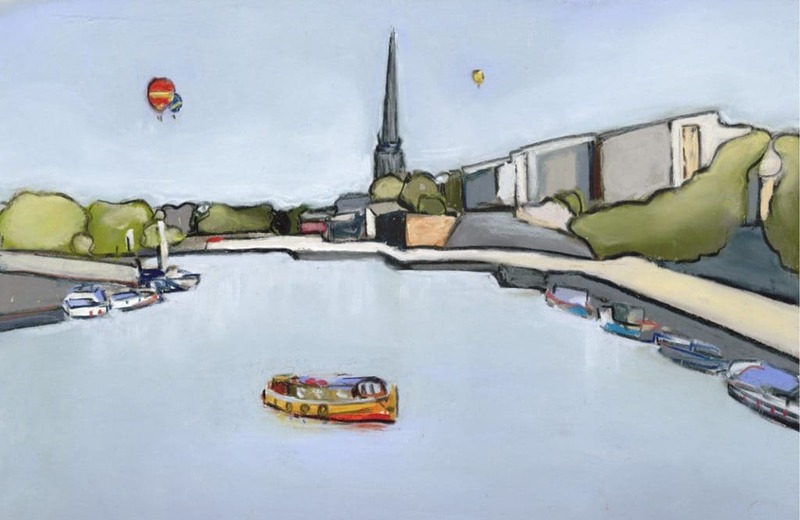 The West Bristol Arts Trail takes place on the weekend of 13-14 October and is a great opportunity for Bristol art lovers to see inside the homes and studios of local artists. What can art enthusiasts expect from the 2018 West Bristol Arts trail? 110 artists spread over 52 venues in Clifton, Clifton Wood, Redland and Hotwells. The work is of almost every kind: oils, watercolours, ceramics, sculpture, prints, embroidery, jewellery, textiles, photography and mixed media. We always have a fresh look every year because artists do not have to keep a place and we have no entrance requirement: it is merely first come, first served. Of the 110 artists in 2018, 28 are completely new to the Trail and 10 are returning after a gap of a few years. How did you come to get involved in the Arts Trail? My wife has exhibited in every Trail since its foundation. For the first two years I was involved only in our own exhibition, which is the largest exhibition in a private house with seven artists showing their work. After two years I became Chairman and have been so ever since. How has the trail changed or evolved since the first one in 2008? Anna Wilson – who runs Art under the Flyover at Venue 52 – initiated it as a community project mainly in Hotwells but for various reasons then handed it over to a very small group of us who continue to run it. It’s actually rather smaller than in the first two years. As it was a community project it had a very wide range of artists, mostly individuals in their own homes. We now try to restrict the numbers of venues so that it is possible to visit the vast majority over a single weekend. We do have large public venues, such as the Avon Gorge Hotel, Holy Trinity Church in Hotwells, All Saints Church, Alma Church Hall and Victoria Church (next to the RWA) but the heart of the Trail is the other 47 venues in artists’ private homes and studios. I suppose the other thing is that despite there being no entrance requirement, the standard of work is impressively high and, of course, includes many who are more or less full-time artists. It’s lovely to see hundreds, if not thousands, of art-lovers just pottering around enjoying not just the art but, frankly, the opportunity to peer inside some very striking homes. Even the weather is kind. Of the 20 days of the Trail since 2018, 18 of them have been gloriously sunny, one was wet and the other was overcast. This is because this period of mid-October is known as St Luke’s little summer and it is why we choose this weekend. It will now piddle with rain in 2018. How much should people budget to spend? Budget doesn’t come into it. It’s entirely free. The vast majority of people buy little more than a few cards and prints, if that. There is no pressure to buy anything. However, for those who do have a bit more cash to spend, for Christmas perhaps, then you are buying direct from the artist, without the mark-up (which can be anything up to 50%) charged by galleries. So it really is affordable art. Any other tips for first-timers navigating this year’s Trail? The numbering of venues is not an actual route but it is not far off. Do not just visit the large venues and think you have “done the Trail”. Consult the bus routes and timetables on the website or use a bike. If people want to get involved – either volunteering or exhibiting – what should they do? Go to our website – www.westbristolarts.com – and have a look at the home page, and then send us an email. Registration for 2019 starts mid-January and if they email us they’ll get a reminder. It’s an extremely simple process and largely automated. The 2018 West Bristol Arts Trail takes place on Saturday October 13th and Sunday October 14th, 11am to 5pm. 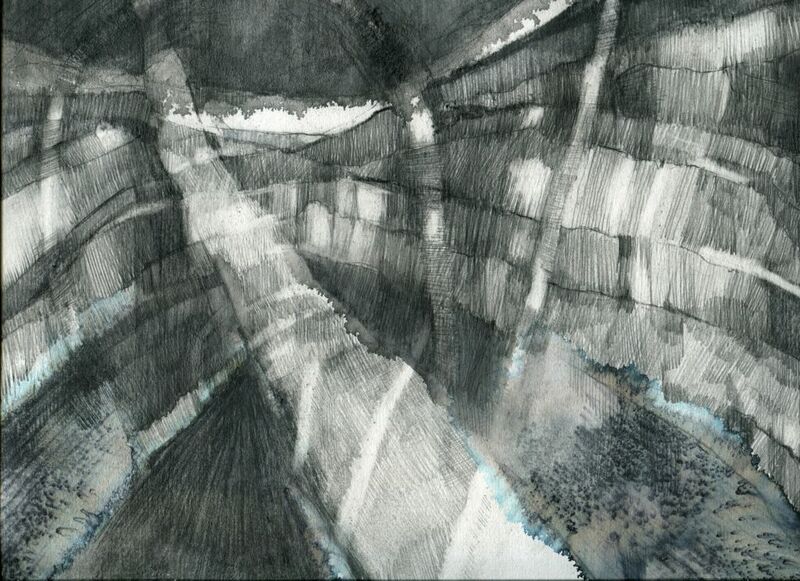 There’s also a public preview on Friday October 12th at the Avon Gorge Hotel from 5.30pm to 7.30pm with an official opening by the Lord Mayor at approximately 6pm. No need for an invitation – just come along. For details of all the venues including a Google Map, visit the West Bristol Arts trail website. You can also find brochures with maps at various cafes and outlets around Bristol. And if you are on the Arts Trail, don’t forget to pop in to the RWA, where the 166 Annual Open Exhibition will be in full swing!